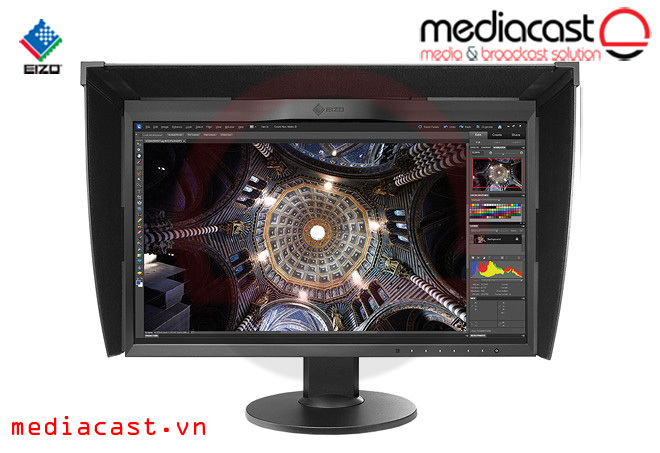 Eizo ColorEdge CG318-4K 31.1" Widescreen LED Backlit IPS Monitor là màn hình 4K 31.1' sử dụng tấm panel IPS, được tích hợp hệ thống cân chỉnh màu tự động cho độ chính xác rất cao. Được sử dụng nhiều cho đồ họa, sản xuất video hậu kỳ, hiệu chỉnh màu, in ấn, chế bản và photo. 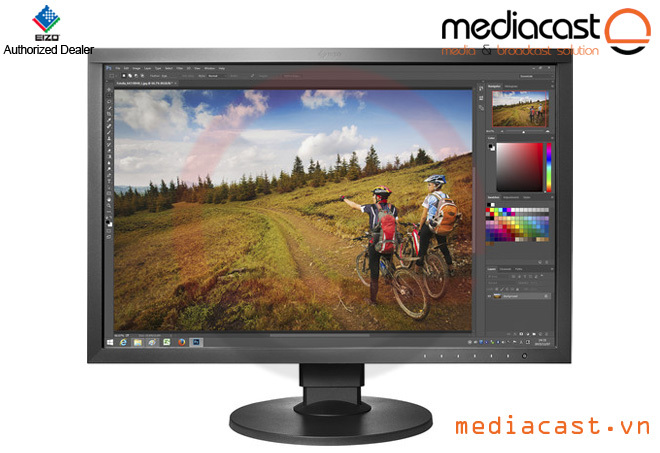 The ColorEdge CG318-4K 31.1" Widescreen LED Backlit IPS Monitor from EIZO features a 4096 x 2160 resolution along with an enhanced pixel density for even greater clarity. 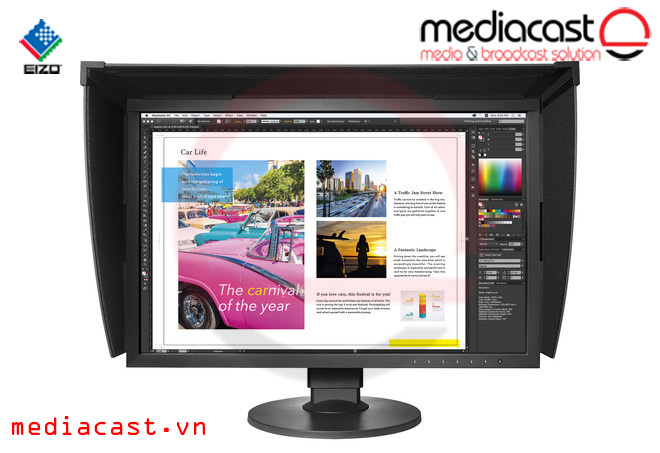 The built-in color sensor ensures the monitor maintains your settings by adjusting various aspects of the display at pre-determined intervals. 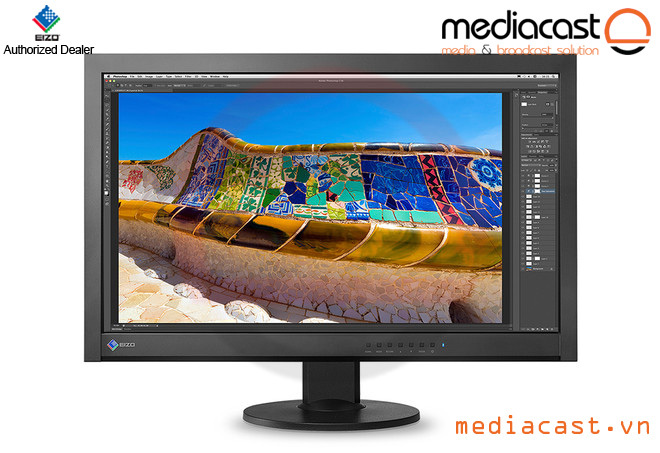 The display itself reproduces 99% of the Adobe RGB color space for enhanced color accuracy while remaining uniform from corner to corner thanks to EIZO's DUE equalizer technology. 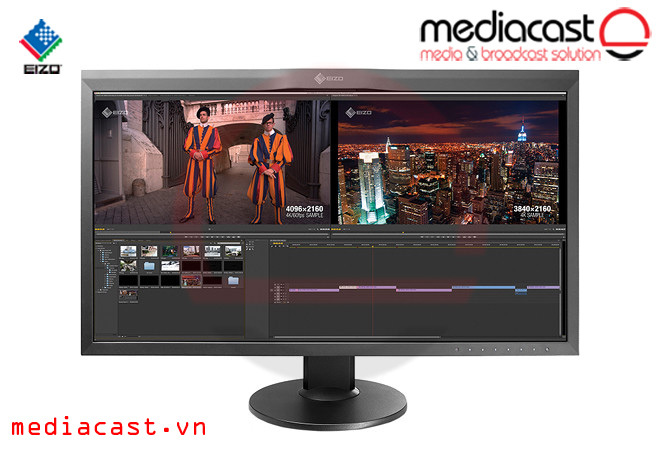 Within 3 minutes of the time you turn on your CG318-4K monitor the display will be warmed up and ready to use. 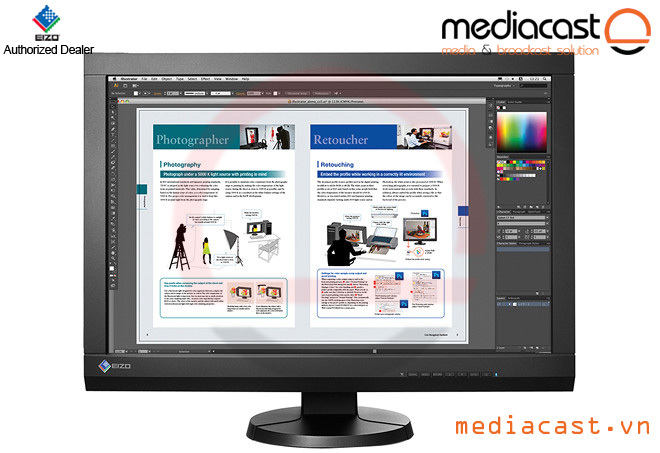 The EIZO CG318-4K comes equipped with DisplayPort, and HDMI inputs, making it easy to plug this monitor into a variety of computer configurations. 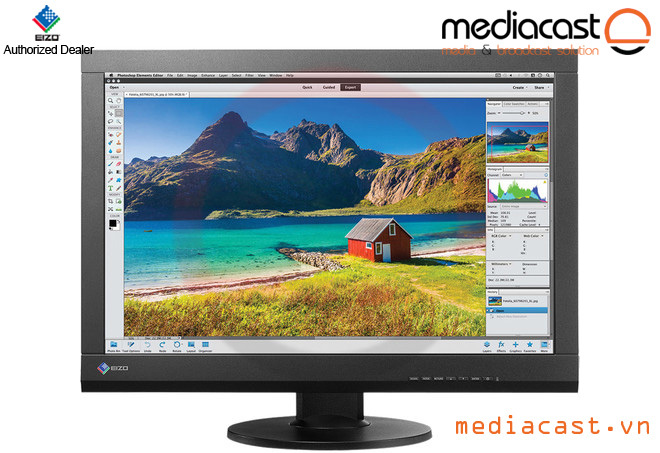 The IPS display comes with a max resolution of 4096 x 2160, a 1,500:1 contrast ratio, a 9 ms response time, a brightness rating of 350 cd/m² and support for up to 1.07 billion colors. Whether mounting this VESA-compatible monitor to the wall or viewing it from the stand, you can see the display from nearly any point of view as it supports 178° horizontal and vertical viewing angles. 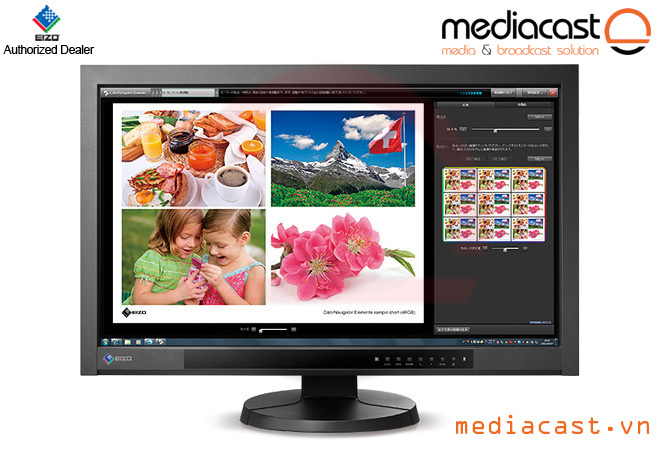 The ColorEdge CG318-4K display features a 4096 x 2160 resolution surpassing the clarity offered by Full HD 1920 x 1080. 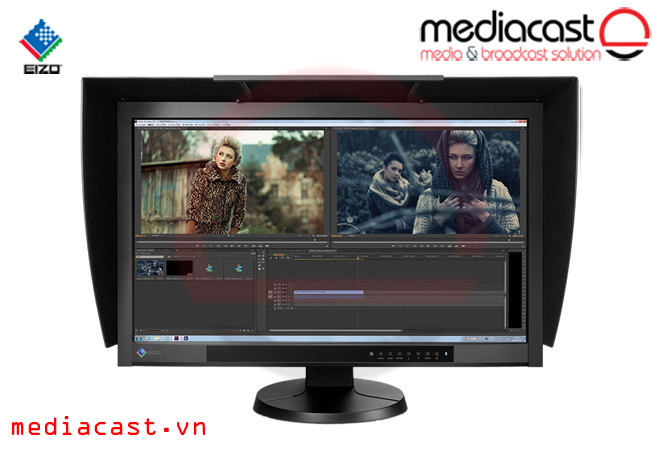 It's ideal for creating, editing, and referencing with 2D and 3D CGI, VFX, compositing, and color grading. In compliance with the DCI standard, the contrast ratio is a high 1,500:1. This produces true blacks that are otherwise difficult to display on a typical LCD monitor. Even when viewing the screen from an angle in a dimly-lit studio the dark tones retain their depth. Also, you can prioritize a high brightness and contrast ratio over the screen brightness uniformity by pressing a button on the front of the monitor. With ColorNavigator Network software, an administrator can centralize management of all CG318-4K and other ColorEdge monitors on a network. For example the administrator can self-calibrate, set color modes, register or edit asset management settings and other tasks whether the monitors are local or remote. This ensures that monitors always have the proper settings and saves hundreds or even thousands of hours in annual maintenance time. Box Dimensions (LxWxH) 32.0 x 22.0 x 13.0"